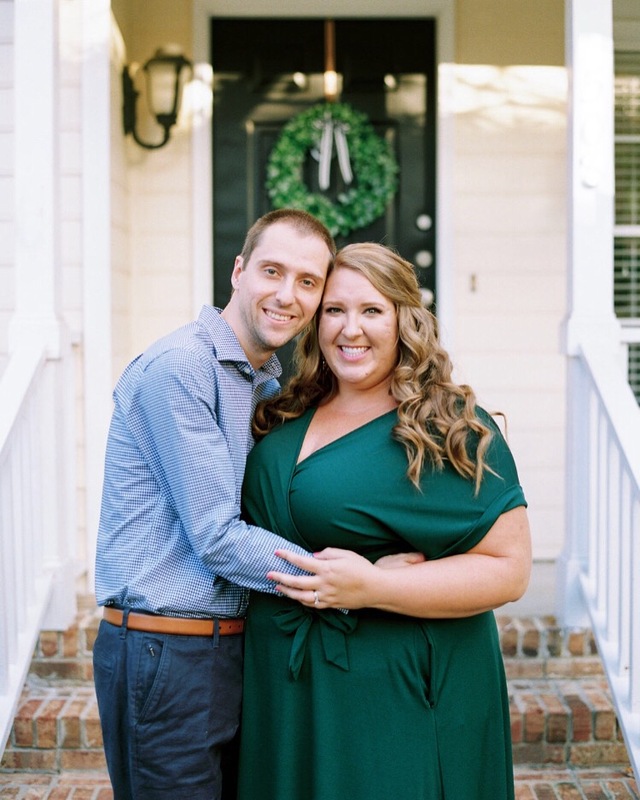 We are gearing up for this weekend’s wedding for Angela and Jason at The Parlour at Manns Chapel in Chapel Hill, NC, and I couldn’t be more excited for these two as they get married on Saturday!! It’s been so, so wonderful working with Angela and Jason, and I’ve absolutely loved being their full wedding planner and designer for their wedding! We had so many superb vendors coming together this weekend at The Parlour, and I am incredibly excited to see their wedding and design come to life. You can see our original wedding design and floral inspiration plan below, and we’ll be working with my dear friend Alana from Serendipity Designs as she brings it all to life through florals. We have lots of greenery and garlands, lush Southern blooms in blush and white, pops of dusty blue/Carolina blue throughout, and the most romantic touches being brought in. Haylily Designs has brought our vision to life perfectly through the day-of paper goods, like bar signs, quotes of beloved F. Scott Fitzgerald passages on love, and custom fans for the ceremony program. How gorgeous is this watercolor of the venue that she did?! We have beautiful rentals coming from Cottage Luxe (their Hemingway Bar + bar back for a courtyard bar! ), Southern Vintage Table (blush and blue vintage glassware), and CE Rental (linens and farm tables)! Christy Clewis Photography will be on hand to capture gorgeous images of it all, and it’s going to be so special, meaningful, and beautiful! Angela and Jason are the world’s sweetest, most genuine couple, and I’m especially excited for their wedding! It is the second marriage for both of them, and you can tell just how perfect they are for one another. During our first meeting together, I asked Jason if he had any must-haves or what his priorities were for the wedding. He said that he just wanted to be sure he never saw a frown on Angela’s face and that he wanted her to have a perfect wedding. That’s our goal, for sure! Their wedding is so, so heavily focused on family and community, and there is so much meaning behind every detail and decision. You can so clearly tell how important family and their community are to Angela and Jason, which is something that I adore. They’ll have an intimate wedding of about 60 guests, and many of them are children: their three children included! Angela and Jason have known each other much of their lives, and they lived in the same town when they were younger. They want their wedding to focus on the love that surrounds them daily, on celebrating love, family, and friends, and on ensuring all of their guests have fun at the wedding! I can’t wait to share tons more details and gorgeous photos from their wedding day, and be sure to stay tuned to my Instagram and Insta Stories all weekend long for sneak peeks!